Captain America, Sentinel of Liberty, is living a lie! 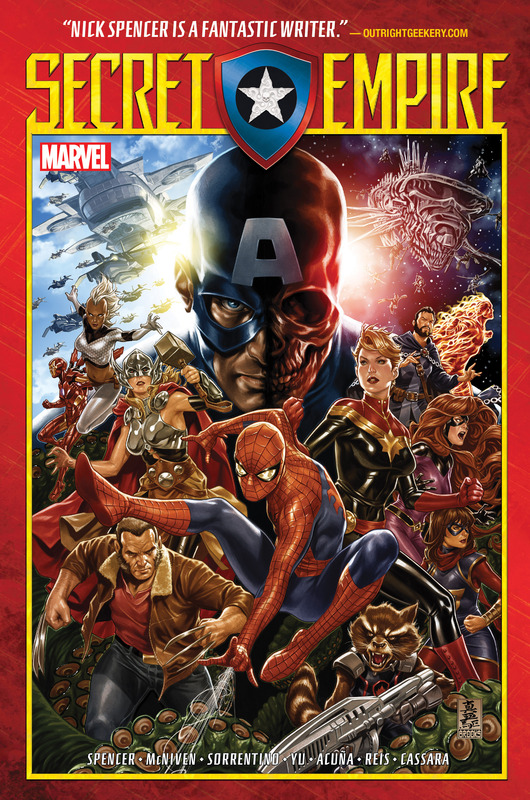 The Cosmic Cube has remade the world's greatest hero into a secret true believer in the cause of Hydra, wholly dedicated to its mission of progress through authority and unity through adversity! Now, using the trust and respect he's been accorded by the great powers of the Marvel Universe, Steve Rogers makes Hydra's ideals a reality — and changes the landscape of the world dramatically! How will he take some of his biggest threats off the board? Who will remain to stand against him? And which heroes will fight on his side? Find out as the impossible becomes real! Hail Hydra! 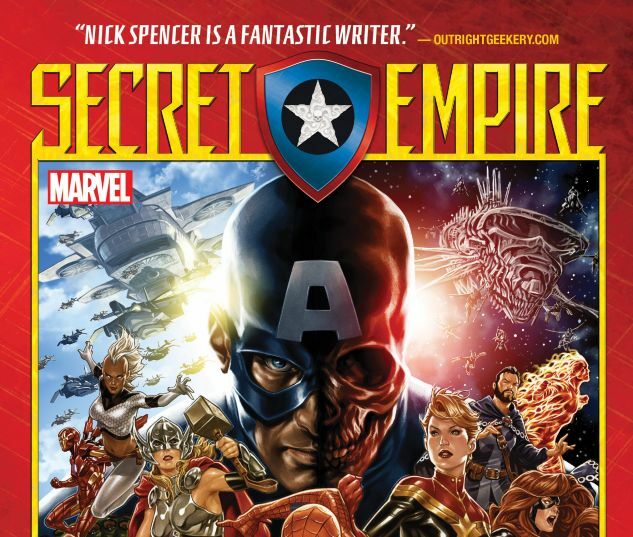 Collecting SECRET EMPIRE #0-10 and OMEGA, CAPTAIN AMERICA (2017) #25 and material from FREE COMIC BOOK DAY 2017 (SECRET EMPIRE) #1.